U.S. Commerce Secretary Wilbur Ross: "Our objective is to have a revitalized NAFTA." "The Canadian steel industry is not being accused of directly and individually being a security threat…The national security implication is in the aggregate, all of the steel," Ross testified. 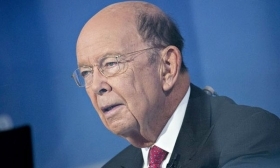 "We don't have a trade deficit of note [on steel],” Ross replied. "We have a surplus in dollars; we do not have a surplus in physical value." "And while they're complaining bitterly about the tariffs, the fact is they're starting to take the kind of action, which — if they had taken [it] sooner — would have prevented this crisis."